As part of Gafoor’s annual Christmas festivities, the proprietor of the company, Sattaur Gafoor yesterday organised a gathering for children where they were fed and offered gifts. 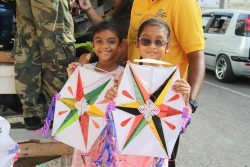 The event catered for 4,000 children.In an invited comment, Gafoor said that his motivation for organising the event and keeping it running throughout the years is his drive to offer children who may not be able to experience it elsewhere, the Christmas feeling. 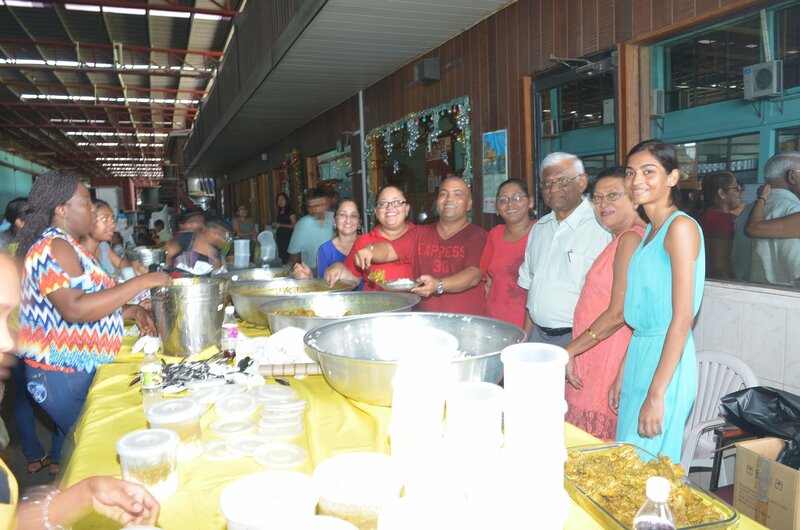 Sattaur Gafoor (third from right) and others sharing food at the event.